Choose a UNM certified nurse-midwife for a supportive partner who respects the natural journey your body takes through pregnancy and birth. As your coach and advocate, your midwife gets to know you and your loved ones while providing high-quality care that reflects your values. Tend to your physical and emotional needs. Listen to your concerns and answer your questions. Regularly monitor your pregnancy’s progress. Order and review lab tests and ultrasounds. Provide prenatal care and postpartum care, well-woman exams, reproductive health counseling and more. Midwives most often care for women with uncomplicated pregnancies. If your pregnancy is high-risk and you’d like to work with a midwife, an obstetrician will provide additional support. UNM midwives earned an advanced degree and hold certification and licensure in New Mexico. 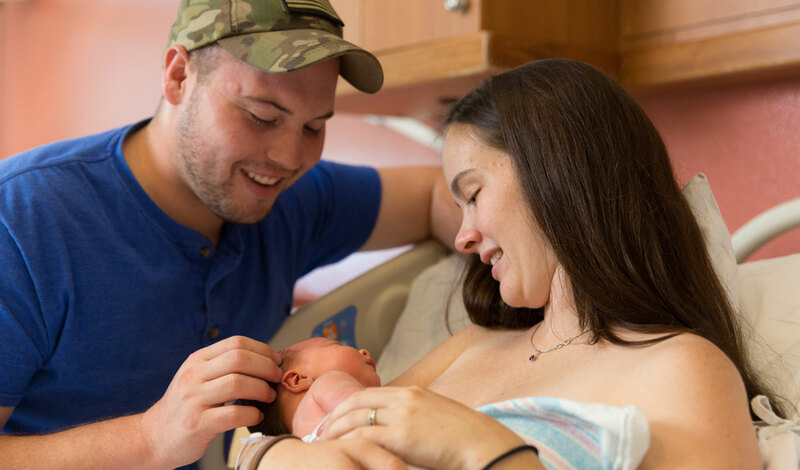 Over the years, they’ve helped deliver thousands of infants in the Albuquerque area and have the experience to safely guide you through childbirth with as little medical intervention as possible. That’s one reason University of New Mexico Hospital’s C-section rate – 22 percent – is significantly lower than the national average.